Play the game that has the nation hooked, Deal or No Deal (Deal or No Deal: The Banker Is Back in Europe)! Beautiful models, a mysterious Banker and of course, Howie! The rules are simple. Choose a briefcase and then play a game of nerves with the infamous Banker. The ratings are phenomenal. Over 100 million viewers tuned in last season. The finale on NBC was the #1 show in the country - new season begins September 18th with a 2-hour special!!! The models are captivating. They were named to People Magazine's Most Beautiful People list. The host is riveting. 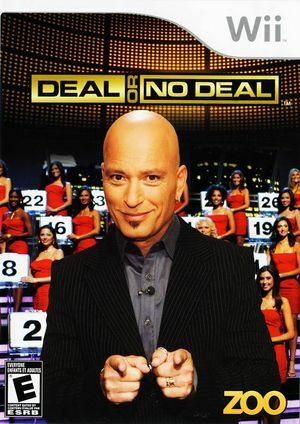 Howie Mandel sets the stage for the drama - and he's the host of the game! The graph below charts the compatibility with Deal or No Deal since Dolphin's 2.0 release, listing revisions only where a compatibility change occurred.